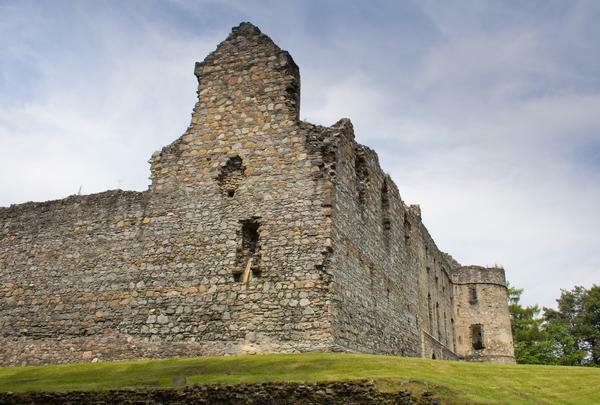 Mary Queen of Scots may have signed the guest book at Balvenie Castle when she was a guest in 1562. However, this castle of enclosure was old even then. Throughout its 800 year history, the castle never saw battle or siege, but it did enable the powerful Earls to rule the area from a fortified position. 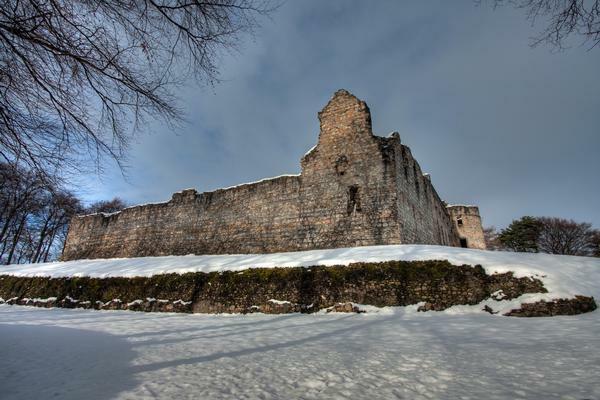 Balvenie Castle demonstrates the changing pattern of life in Scottish history, from the necessity of having a defensive castle home to the later requirements of a more sophisticated residence for entertaining in the 16th century. Two centuries later the fortifications were no longer considered necessary and the castle was abandoned in favour of a new family home. Seat of the powerful Black Comyns, the high curtain wall dates back to the 13th century when the family ruled this ancient Celtic province. The Comyns were eventually driven into exile by Robert the Bruce, prior to him becoming king of the Scots. The baronial Black Douglases took over the castle in the early 1400s, possibly by marriage, and they in turn were ousted by James II who gave the castle to his family in 1455 for the sum of one red rose! It was refurbished as an impressive residence by John Stewart and in 1550 a gracious renaissance home was added by the 4th Earl of Atholl, John Stewart. This extension of the lodging in the mid-16th century included the great round tower at the northeast corner which was three storeys high plus an attic. The ground floor accommodations would have been for the general household while the Earl had his own apartment consisting of a hall, an outer and an inner chamber on the first floor. The countess would have had similar private accommodation on the floor above. Balvenie New House was later constructed nearby by the castle owners and Balvenie Castle was finally abandoned by the family in 1720, after the suicide of the owner William Duff. 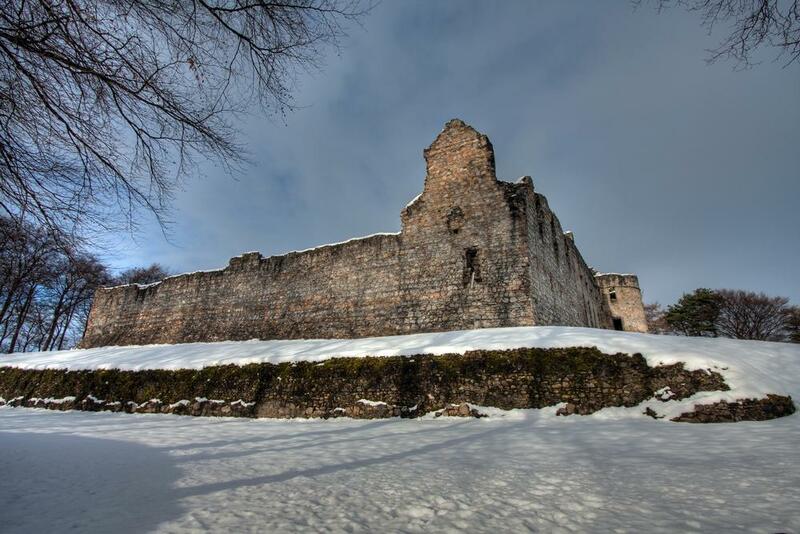 However, it was used as a garrison during the Jacobite Rebellion. 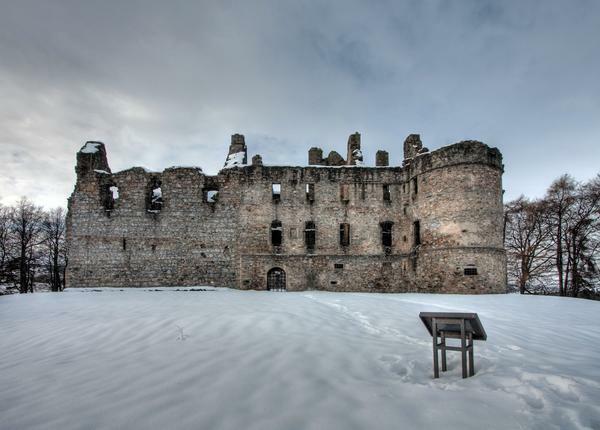 Now managed by Historic Scotland, Balvenie Castle is an interesting historic attraction located at Dufftown in beautiful Glen Fiddich. It remains a formidable ruin to tour with round towers, high courtyard walls and an arched gateway. Although the defensive outer wall has vanished, there is a sizeable dry moat around the castle enclosure. Visitors can explore the west range with its vaulted storage cellars. This part of the castle was constructed in the 1400s with a great hall to suit the Douglas clan. See the remains of the kitchens, identified by the remains of a stone sink and huge fireplaces in the south curtain wall, along with a dome-roofed bakehouse and brewhouse. Set in the courtyard is the castle well, now covered over with an iron grid. The iron yett, a special cross barred gate near the entrance, is the only such example in Scotland. Balvenie New House was demolished in 1920 to make way for the expanding Balvenie Distillery which is now owned by William Grant and Sons.